Open to UCR undergraduates, graduate students, faculty writers, and alumni, and Inland Empire writers and artists. Please submit your intent to read and your genre, major, &/or affiliation to UCR/IE as well as a one sentence statement of what you are currently resisting in either your creative/ academic work or in the every day to ucrwritersresist@gmail.com. 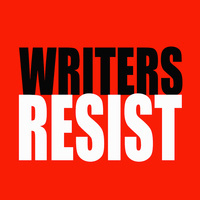 WRITERS RESIST will return January 23, 2019.
attacks on principles of freedom and justice in our community.